Positive environments and Caring Adults CAN build resilience. We CAN rebuild healthy brains and encourage healthy behavior and increase positive outcomes. Join the Caring Adult Network (CAN) and turn trauma into resilience. Our kids need YOU to be a connector, to help break down the barriers between generations by partnering with them in healthy relationships. We have created the iCAN (instruction for the Caring Adult Network) Workshops to provide knowledge, perspective and practical tools. Scroll down the page to find out more and sign up for a workshop. There are many ways and places to be a Caring Adult. Look at the programs below and decide which one suits you best. There are yearly, monthly, twice monthly & weekly opportunities to connect. We are also looking for people to join our Resilience Team on an as needed basis to help with administration, events, communication, office work and scouting for new volunteers. ​Please follow the links below and let us know how we can help you connect. Many, many studies have shown that the most powerful positive influence in the lives of kids is the presence of a Caring Adult. Any CARING, CONNECTED & POSITIVE adult can do it. However, there are skills and perspectives that are helpful in caring effectively and powerfully. There are also kid serving contexts that require us to operate within specific parameters (school district, Community ED, some mentoring programs, etc). Connect BG offers the iCAN workshop series (Instructing the Caring Adult Network). It covers Adverse Childhood Experiences (ACEs), Epigenetics, Neuroscience, Youth Perspectives and Resilience Building, as well as hands on practice! For more information on iCAN workshops and other trainings, visit www.connect-ed.link. The next workshop is yet to be scheduled. Check back. Our Plant the Flower campaign makes a statement about "how we do it here." We believe in healthy relational connections as the context for health. The flower says, "we believe in and support healthy connection as a way to promote mental, emotional and behavioral health." n his book, "The Body Keeps the Score" Bessel Van Der Kolk says, "Our culture teaches us to focus on personal uniqueness, but at a deeper level, we barely exist as individual organisms." Our kids need to grow in a connected community. Their mental, emotional and behavioral health is learned and absorbed from their environment - we are their environment. The more we foster belonging and significance in our connectedness, the more our Battle Ground ecosystem will find its healthy balance. One way to show our connectedness is to "Plant the Flower." Put it in your car window, on your storefront, in your signature line, on your Facebook page, or... be creative. Signs, stickers, shirts, hats and water bottles available at the Nine: Connect BG Headquarters at 406 NW 5th Ave, Building B. ​Or, you can download graphics by clicking the button below. This short video demonstrates a universal principle. Though our unique and significant contributions are critical - it is only when all are connected and functioning in their capacity that the ecosystem can come into its healthy state. The wolves don't change the rivers - they just do what wolves do. The rivers came back to their places when the whole ecosystem was healthy. Order your own Connect BG gear as a way to plant the flower. About 50% of every purchase funds our Coalition's work to prevent suicide and promote mental, emotional and behavioral health. 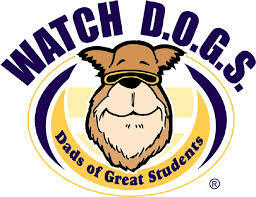 Watch DOGS is a school based, once a year (or more) opportunity that offers men the chance to spend a productive and interactive day with students and staff at one of several BGSD schools. Provide an extra set of eyes to make our campuses safer, show kids that they belong and matter in our community and be the coolest guy in the school for a day. No one leaves without a smile! Teach One to Lead One is a team based, in class mentoring program that teaches universal character traits. Be a caring adult by eating lunch with a kindergarten through fourth grade student. 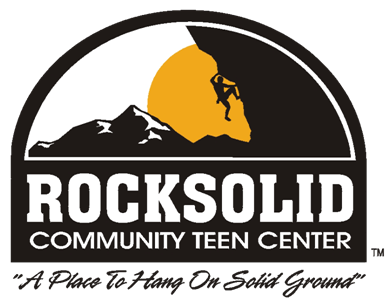 Rocksolid is an after school program for 5-12th grade students that provides a safe place for kids and fosters relationships with one another and caring adults for the purpose of encouraging them to become ROCKSOLID people. 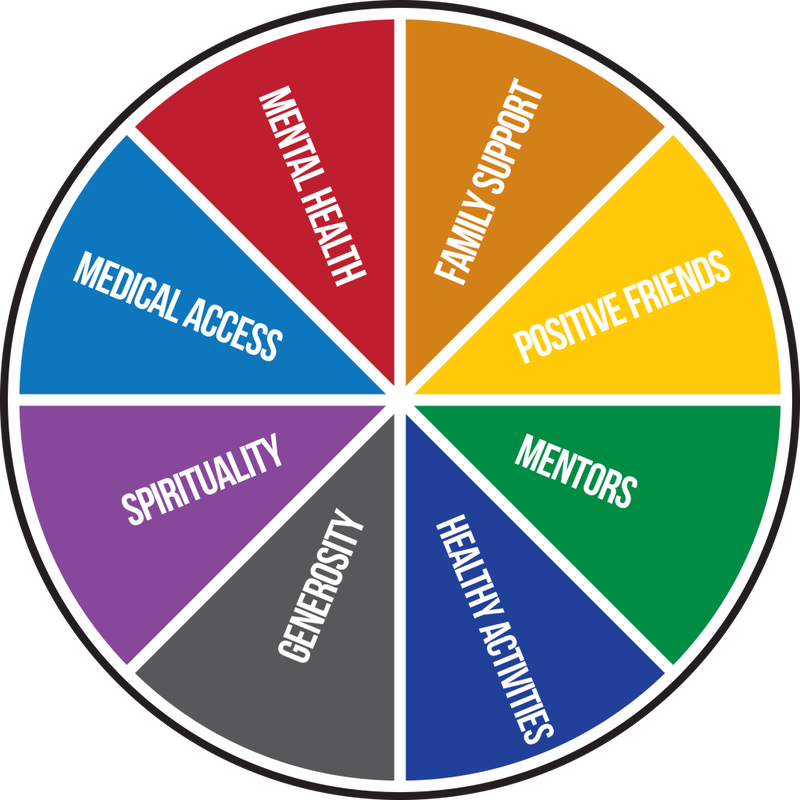 Sources of Strength is a school based upstream prevention program that puts Caring Adults together with student Peer Leaders to create a positive culture around identifiable and accessible strengths. It is scientifically proven to reduce dangerous behavior in youth population. This is a 2x per month commitment and includes training. 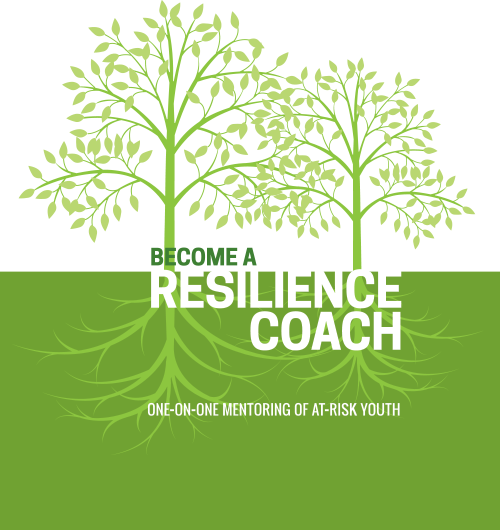 Our Resilience Coaches work with Youth in the Battle Ground School District who are recommended for coaching by a teacher, counselor or administrator. Building healthy connected relationships while working toward accomplishing practical goals. This is a one on one effort supported by Connect BG . Follow the Connect link above to sign up or find out more. Battle Ground Public Schools is committed to providing a safe and healthy environment for students, family and staff. Funded by the Substance Abuse and Mental Health Services Administration (SAMHSA), Project AWARE is a partnership between the Office of Superintendent of Public Instruction (OSPI), Battle Ground Public Schools, Shelton School District and Marysville School District. Build the capacity and leadership to sustain community-based mental health promotion, prevention, early identification, and treatment services. The ACEs Action Alliance promotes a trauma sensitive Clark County by aligning the efforts of diverse sectors in our community to identify, address and mitigate the causes and impacts of Adverse Childhood Experiences (ACEs). Clark County is a nurturing, compassionate, and caring community where resilient children, families and neighborhoods grow and thrive. 1. Data-Driven/Evidence-Informed Work: We identify both community resources and needs, and we share this information with our community. we define and monitor appropriate and measurable outcomes to assess the impact of our collaborative efforts. We create a shared understanding of brain development and the causes and impacts of Adverse Childhood Experiences through community outreach and education. We foster action to promote trauma-sensitive resilience. We engage and mobilize community leaders to foster connection, communication and commitment to reduce and mitigate ACEs across all sectors of the community. We educate and encourage local organizations to adopt trauma-sensitive policies, practices and environments. ​The Substance Abuse and Mental Health Administration (SAMSHA) awarded Prevent Together: Battle Ground Prevention Alliance the Drug Free Communities Grant in September 2014. The primary objective of Prevent Together is to operate as a prevention resource center that responsively meets the needs of community individuals or organizations thorough interagency collaboration. The coalition strives to provide the most effective resources that strengthen and improve the safety and health of each community member, and reduce the use of drugs and alcohol throughout the community. Prevent Together coordinates and implements comprehensive prevention service referrals, training, education, public relations and support activities with sensitivity to individual or organization requests. A community who comes together to end substance abuse and promote positive healthy decisions. Together we will prevent and reduce youth substance abuse in the Battle Ground community by building resiliency, strengthening relationships and providing education for families and community members. Link Battle Ground is a web based app that recognizes, supports and connects the connectors in our community. You are one of them! All it takes is a name, email address, a password you create and a few checkmarks on a list of connector activities. You'll probably find several that match your connecting activities. Once you are registered, local businesses say thank you by offering rewards. You'll find them on your dashboard. Just check in at a Connecting business to receive your reward! You can also find many local organizations that offer resources and opportunities to connect. Click on the "Organizations" link to find services, resources, events, classes! Thanks for being a connector! Help Put a YMCA in Battle Ground! Local YMCA Task force members have spent hours meeting with internal and external community stakeholders in order to collaborate on this YMCA project. By working together, we can address community needs and provide great services to the citizens of North Clark County. Are you ready to collaborate? Indoor basketball, volleyball, racquetball | Community education classrooms | Swim lessons for BGSD students | Full operation and maintenance of the facility with no additional cost to taxpayers and much more! Sometimes we make it too hard. We look for a place to sign up that provides us with a program to follow, rules and guidelines and leadership to make sure we don't mess it up. But before real change can happen, we need to operate as change agents in our own circles of influence. No one can do it for us. We already know who we need to share life with and we already know what we have to share. It doesn't look quite like this...yet. We already have a 1973 Volvo P1800 ES, a couple old motorcycles, an '84 Jeep, and a '68 Ford truck. We built a tiny house last year along with a bunch of construction projects. You can see what we're up to by visiting our Man School Facebook Page. We are looking for men who do "things" (constructive things) with commitment, craftsmanship and passion to share their skills and life experience with younger men in an effort to shape our leaders. It is our goal to see them equipped for their life's work and well prepared for adulthood. If you think you might be interested in participating in automotive, construction, artistic, hunting/fishing, hiking, boating, etc, with other men in a safe environment that fosters heathy cross-generational relationships - let us know using the form to the right (or below if you are on your small screen mobile device). Please be prepared to participate in a full interview process and federal background check. If you are concerned that our research efforts may produce results that will disqualify you from participation, please let us know. We will be making quite sure that anyone we include in the Caring Adult Network is an appropriate fit.